From everyone's comments, I wish I had a trip to give every deserving family! But our lucky winner, chosen at random by Rafflecopter is AMY C. !!! Thank you to all who entered. I know so many of you had no idea Columbus had all of this fun to offer families (myself included!). So if you are still considering the idea of a weekend getaway or even longer, you can book the complete Columbus ROAR + EXPLORE getaway package at ColumbusFamilyFun.com. 3 locations to choose from in the Columbus Area! Awesome amenities include: free hot breakfast, free hot food & cold beverages for guests from 5:30-7:00pm (rotating menu includes including chicken strips, macaroni & cheese, hot dogs, baked potatoes, broccoli cheddar soup and more!) free wi-fi, free drinks + popcorn in the lobby, swimming pool + fitness center. Free breakfast & dinner would save traveling families a lot of $$! that features 17 state of the art water slides, a wave pool, an action river, a lazy river, private cabanas, a kiddie play pool and more. 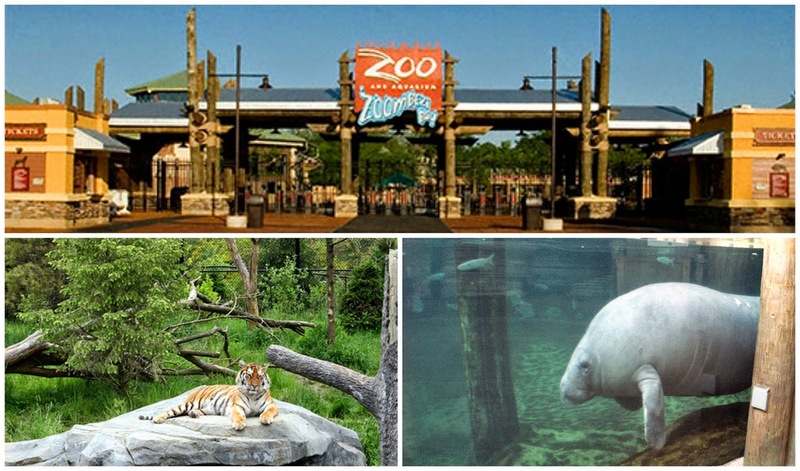 Admission to Zoombezi Bay includes admission to the Columbus Zoo and Aquarium. Brand new this year is Baboon Lagoon! 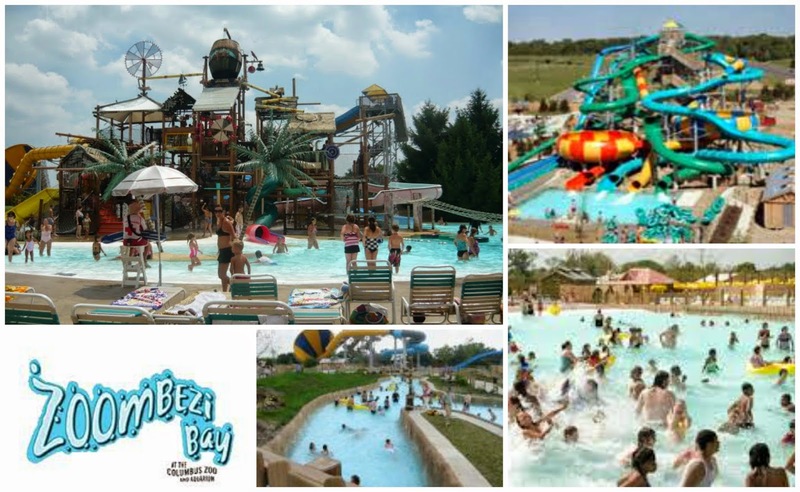 With over 115 interactive aquatic controls, 10 exciting waterslides, heated water and the iconic 1,000 gallon bucket dump, this attraction will add to an already exciting family experience. COSI is one of the largest modern-built science centers in the United States. 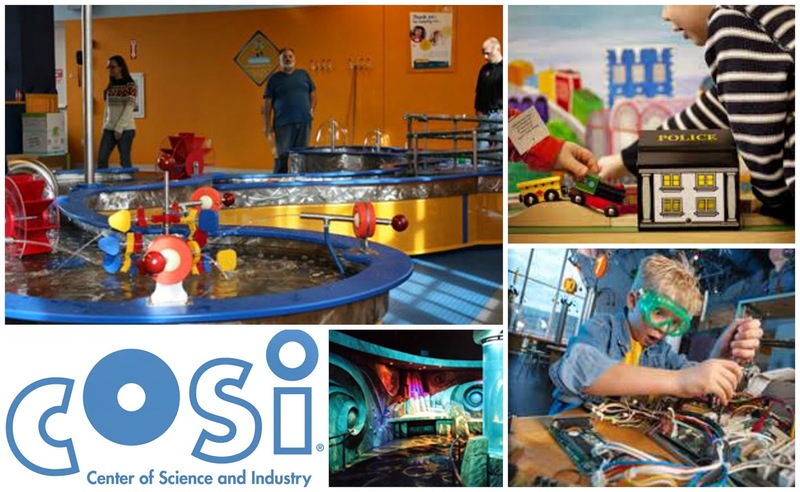 In 2008, COSI was named America's #1 science center for families by Parent Magazine. Groundbreaking exhibits and live shows help make it easier for you to wrap your brain around the most challenging science concepts! They offer fun hands-on workshops that are guided by experienced and enthusiastic Team Members with a passion for science. Young children can safely climb, slide, build, splash, imagine, and pretend in COSI's little kidspace. Designed and staffed by early education experts for children from birth - kindergarten, little kidspace promotes learning in a colorful and engaging atmosphere for little hands and growing minds. COSI is celebrating its 50th anniversary this year! Congrats to Amy & her family, I hope you have an amazing getaway! Thanks to ExperienceColumbus.com for sponsoring such a fun giveaway!